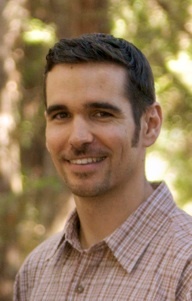 Sean is a psychologist in private practice in Sacramento, California. He is a certified Emotionally Focused Couples Therapist and he teaches Mindful Self-Compassion Courses with his wife, Luana Coloma Cook, through their business “Compassion Habit.” Sean specializes in working with individuals and couples to build secure, loving, authentic relationships. He began meditating in his mid-twenties and spent about a decade building a disciplined spiritual practice that eased some of his suffering, but that he did not enjoy very much. Then in 2012, with his second child on the way, he refocused his practice on something he had been actively ignoring: the heart practices of loving-kindness, forgiveness, and compassion. This was a game-changer. As he began to apply the balm of love to his own wounded heart, he found himself in a process of seeing more and more opportunities to love and be loved. Like seeing a three-dimensional image emerge in a stereogram, a truth became apparent: every moment is an occasion for love. Sean is especially interested in sharing this truth with other men who have been conditioned to label their need to be loved as weakness and to shrink from, scoff at, or harden against the idea of holding themselves with tenderness and compassion. View all of Sean’s posts.